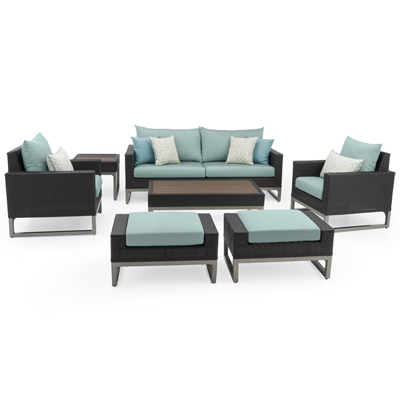 Luxuriate in the warmth of a glowing fire with the Milo 4pc Motion Fire Set, thoughtfully designed in powder-coated aluminum and resin wicker for durability. 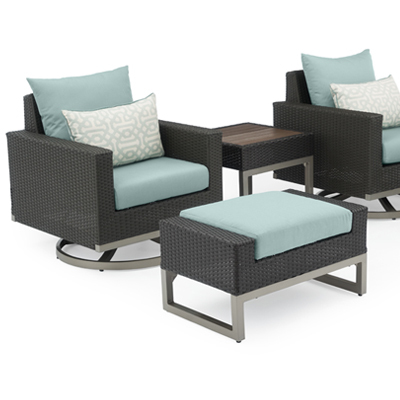 Five-inch deep base cushions provide ample support to unwind after a long day or to entertain guests and friends. 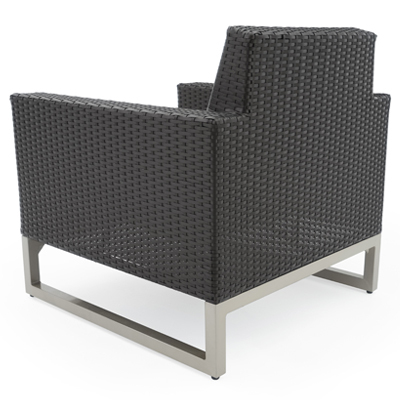 Stain-resistant upholstery in designer SunbrellaÂ® fabrics make these pieces visually appealing and virtually maintenance free. 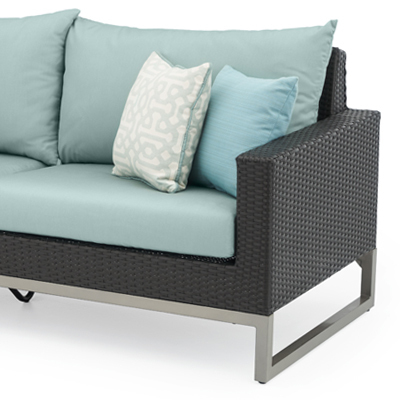 Durable, all-weather SolarFastÂ® resin wicker is engineered for outdoor use.